The goal of the National Sports Law Student Writing Competition is to encourage law student scholarship on current topics in sports law. Any law student in good standing who is currently attending an accredited law school within the United States and its territories may enter the competition. 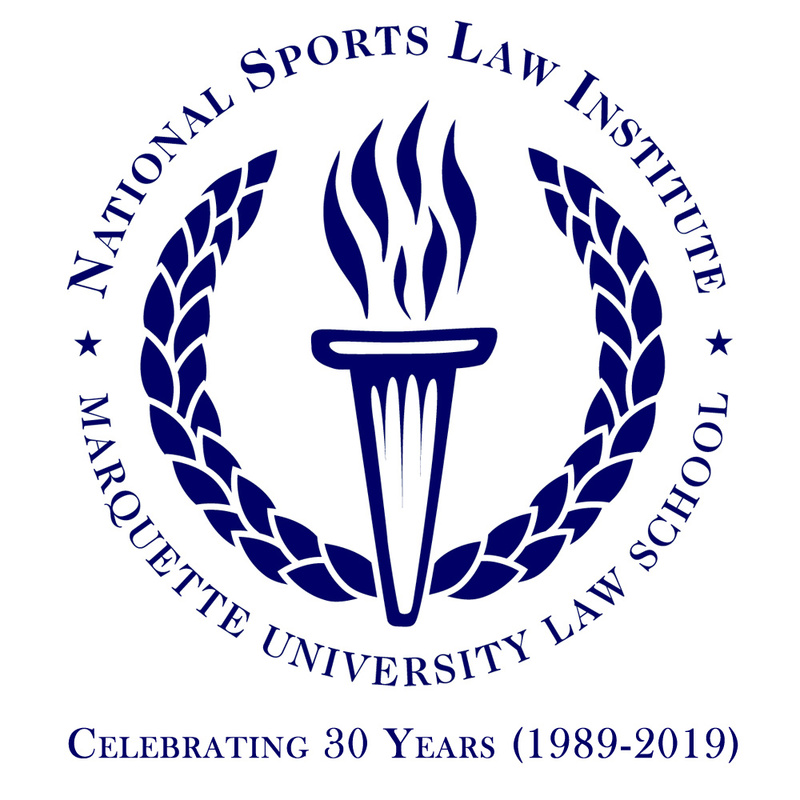 The winner of the writing award receives an invitation to attend the National Sports Law Institute's annual conference (to be held next on Friday, October 18th, 2019) at no cost, and an offer to publish in an issue of the Marquette Sports Law Review. ELIGIBILITY: Any law student in good standing who is currently attending an accredited law school within the United States and its territories may enter the competition. All submissions must be original and unpublished student work that has been produced after September 1, 2018. Such works could be papers written for a law school course or unpublished student comments written as a membership requirement for a law journal or review. Submissions to this competition cannot be submitted to any other competition (this includes any past competitions as well), and cannot be submitted for publication consideration to any publication until the review process is complete for this competition. All submissions will be reviewed by the National Sports Law Institute's Editorial Advisory Board made up of past Editors-in-Chief of the Marquette Sports Law Review and Marquette Sports Law Journal. The review of submissions will be a blind review, meaning that no author names will be included within the articles being reviewed. No current Marquette University Law School student or faculty member will take part in the review process. The winner of the competition will be notified by email in August, 2019. 1. Submissions to the 2019 competition can focus on any sports law related topic. However, the best submissions will include a focus on a specific, timely, and novel legal issue impacting the sports industry. Submissions will only be accepted if produced in Microsoft Word. Do not send a PDF. 3. The National Sports Law Institute will verify that your submission has been accepted by email within 10 days of submission. 4. All submissions to the 2019 competition must be received by Friday, May 31st, 2019. 5. Submit your article to the 2019 competition on the webform found here.